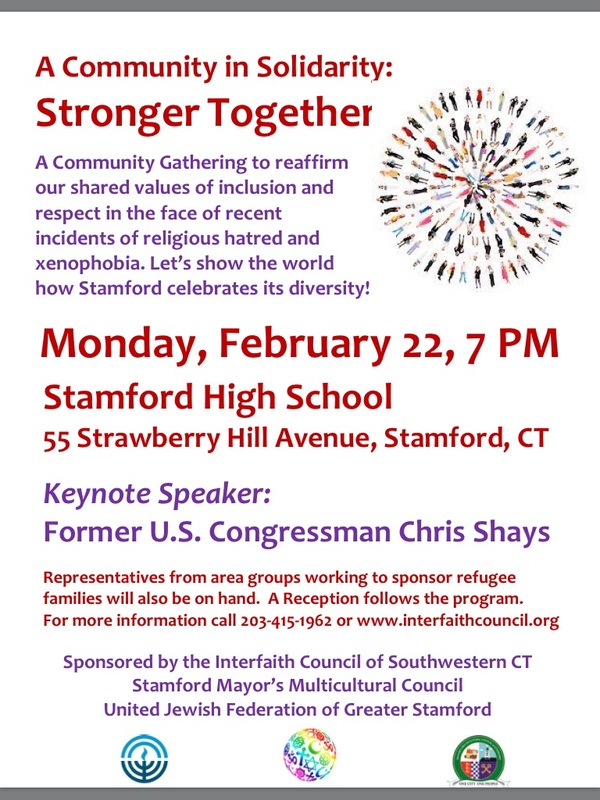 The ICCNY, along with the Interfaith Council of SW Connecticut, Stamford Mayor’s Multicultural Council and the United Jewish Federation of Greater Stamford requests your company on February 22, 2016 @ 7:00pm in Stamford High School, 55 Strawberry Hill Av, Stamford, Ct, for a Community Gathering in Solidarity entitled “Stronger Together”. Please join us as we listen to keynote speakers including former U.S. 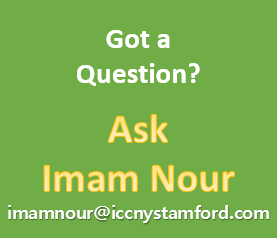 Congressman Christopher Shays, Professor Mehnaz Afridi, and Ms. Claudia Connor – Director of International Institute of Connecticut, as well as our own Imam and other distinguished Guest Speakers. 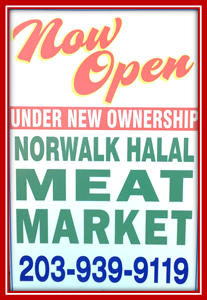 Please see attached flyer for details. Please make every effort to attend this function to represent our religion and show support with others in the Community. Also feel free to share this invitation with others as this is a community wide event. Thank you.